Amy Neri, RN is appointed by the American Health Council to its Board of Nurses for her dedication within the medical field. 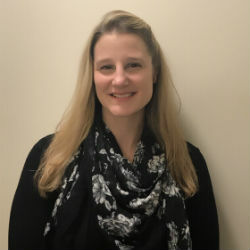 As the Assistant Director of Nursing Services at Cherry Brook Health Care Center in Connecticut, Ms. Neri ensures that each patient is cared for through her Geriatrics and Wound Care expertise. She has held the role for 6 months, and contributes skills she has garnered over the past 6 years within the healthcare industry. As her passion to become a nurse strengthened, Ms. Neri decided to enroll in trade school to become a certified adult nurse practitioner to ensure that nursing was the right fit for her. In 2009, she enrolled in Naugatuck Valley Community College’s nursing program, and later earned her associate’s degree as a registered nurse in 2011. After a rigorous academic training, Ms. Neri used her abilities to care for adults at Cherry Brook Health Care Center. The facility provides on-site medical services, including wound management, speech therapy, 24-hour medical care, cardiac recovery, short-term rehab, outpatient therapy and orthopedic rehabilitation, among many. While working in the facility’s nursing home, Ms. Neri ensures that patients receive proper care as she assists them with an array of medical needs, including treating wounds. Ms. Neri attributes her success within the nursing field to having a strong support system, including mentors and fellow nurses. Her rigid coursework and training at Naugatuck Valley Community College enabled her to become a skilled nurse, and she credits her success to her wound care education. Although Ms. Neri’s nursing knowledge continues to evolve each day, she enjoys spending time with her three children whenever possible. She plans to continue to work her way into a regional position in the future, especially one that improves patients’ care. She also plans to develop advocacy projects and continue her path into the education-medical field. 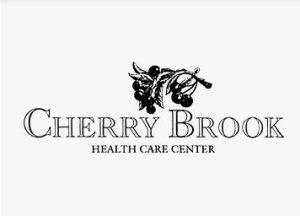 Cherry Brook Health Care Center offers an array of services for its patients, ensuring that each one is cared for by highly-trained and experienced therapists. The facility offers 24-hour medical care, physical therapy, occupational therapy, cardiac recovery, IV therapy, stroke and neurological recovery, and medically complex services, among many. The center also offers short-term rehab and outpatient therapy services. The facility is a not-for-profit member of New Horizons, Inc., an organization that provides care and support for those with physical disabilities. Like Cherry Brook, New Horizons also provides nursing home care and rehabilitation.